Popeye arrives to Sweethaven looking for his missing parent. But the town is very small, and all the strangers are feared, including Popeye. He rents a room in the only place where he can, at Oyl family’s house. The Oyls have a daughter, Olivia, who is promised to Bluto, a very strong and big man than runs the town. One day, Bluto gets really angry at Olive and orders the taxman to increase the tax on the Oly family, leading to them loosing all their goods. 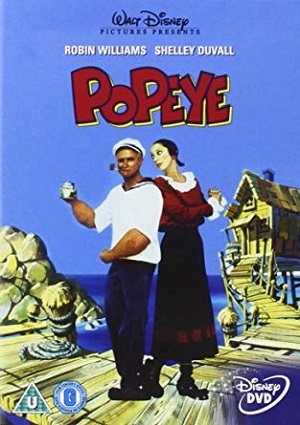 Olivia’s brother gets into a fight hoping to win some money, but he is defeated and Popeye has to come into his rescue.